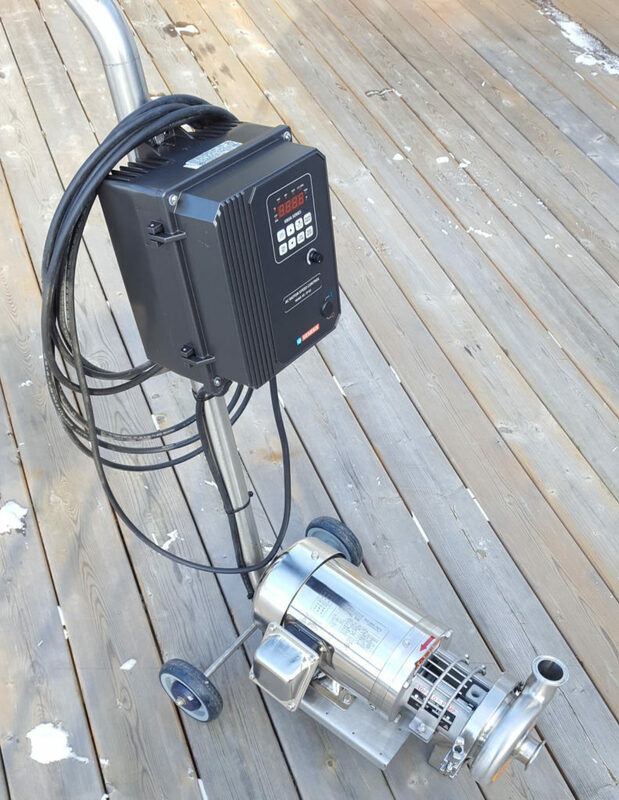 The C114 portable CIP pump comes 1 1/2″ X 1 1/2″ Tri-clamp connections and you have the choice between 1HP, 1.5HP or 2HP motor. It comes complete with a digital VFD and mounted on a stainless steel cart. Pump and motor is USA made so you can count on readily available parts. We also stock seal kit and we can ship overnight if emergency strikes. We stock the C114 1.5HP D seal all the time ready to ship. For pumps not in stock please allow 2-3 weeks for delivery. Which HP should I go for? The DG seal uses the standard Type D rotating seal components with a reversible silicon carbide, tungsten carbide or ceramic seat. Typical applications include liquid sugar, beverage syrup, chocolate and abrasive products. 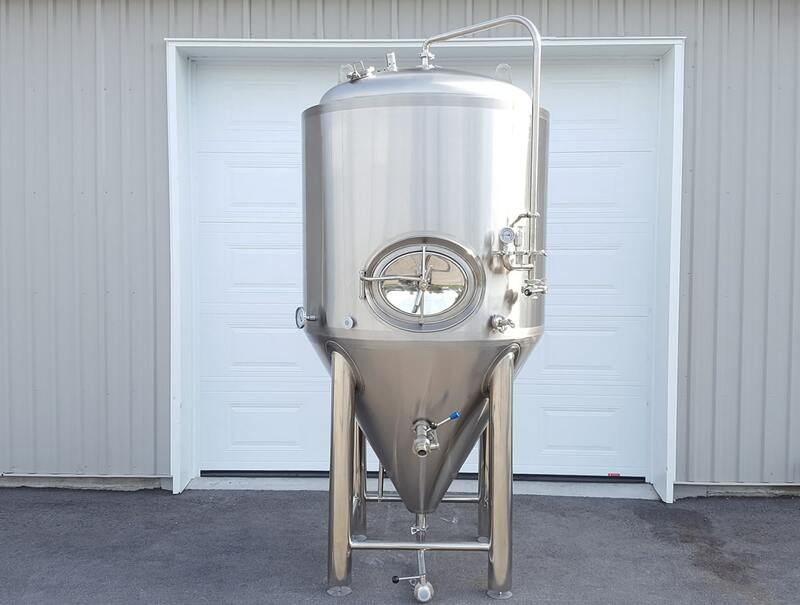 The capacity of this pump is 75 GPM and it will put out 65 ft of head pressure, ideal for microbreweries (5 – 10 BBL) and estate wineries. The capacity of this pump is 100 GPM and it will put out 75 ft of head pressure, ideal for microbreweries (10 – 15 BBL) and estate wineries.